Self extinguishing, temperature range: -5°C to +90°C. 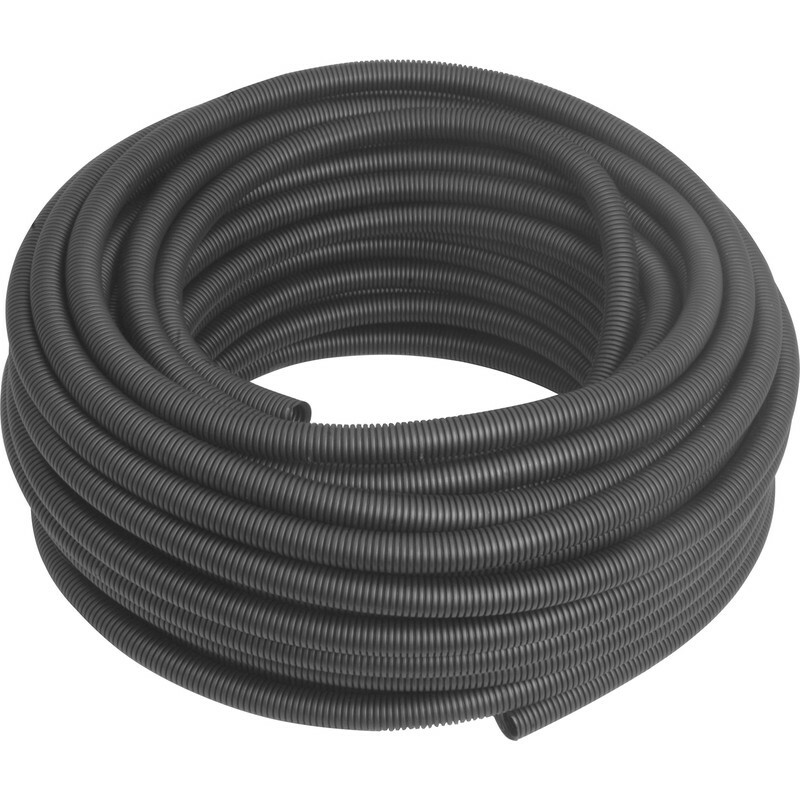 Polypropylene Flexible Conduit 20mm x 100m Coil Black is rated 4.3 out of 5 by 9. Rated 4 out of 5 by robodiy from Good value. I bought this to run low voltage cable to a pond pump. Only managed to get the cable pushed through 15m, then I had to cut the conduit to push through the next 15m. If you want to avoid kinking, hold one end down then unroll it like a fireman's hose. Rated 5 out of 5 by Himself from It's that good I buried it I bought this to protect a cable powering a pond pump and filter, easy to pull cable through, and cheap. Rated 5 out of 5 by booojo from Good product Good conduit good price. Rated 2 out of 5 by Skibuddy from Almost impossible Very difficult to thread cable through as it’s not twin walled so had to buy a different brand with a wider inside diameter that had a smooth internal bore. Would not recommend this product. Rated 4 out of 5 by Sewage sam from Strong, easy to use Bought for use in a new railway storage shed, needing flexibility and rigidity to run along stauntions. Rated 4 out of 5 by barnacle from good value basic flexible conduit the product is a basic range flexible 20mm conduit which we used as added protection for SY flexible cable fitted in concrete retaining wall. The product was supplied in good order and well wrapped for transit and could be dispensed easily if care is taken.